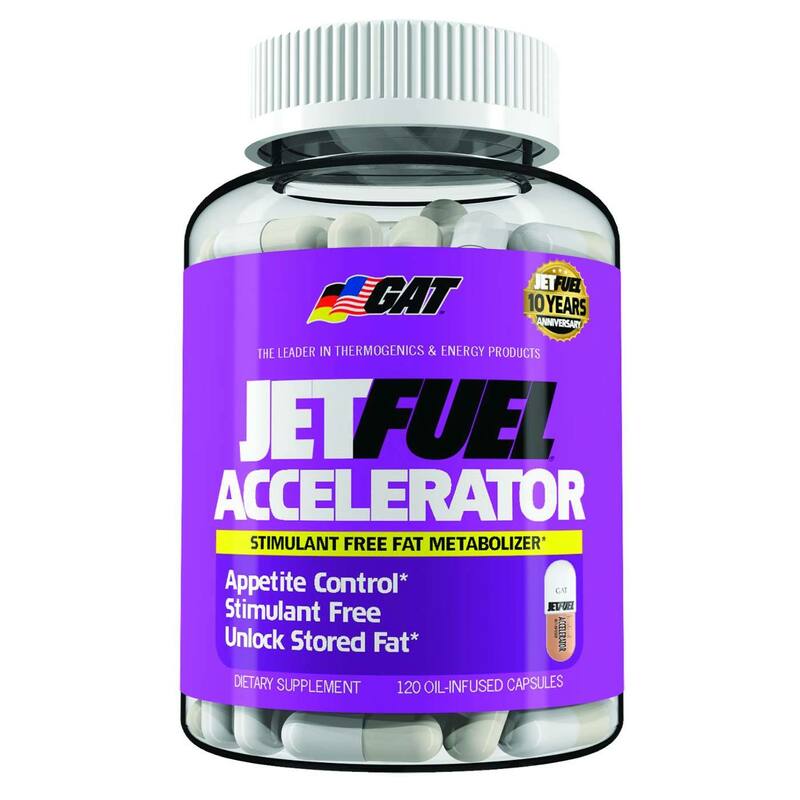 JetFuel Accelerator by GAT utilizes three special blends of ingredients in order to stack supplements. Advertências: Store in a cool, dry place. Keep out of reach of children. Recomendações de uso: While Accelerator is stimulant-free, it is very powerful. Day 1: Start by taking 1 capsule with 8 oz of cold water, 30 minutes before breakfast. repeat 30 minutes before lunch. Day 2 and beyond: Depending on tolerance, take 2-3 capsules with cold water, 30 minutes before breakfast. Repeat 30 minutes before lunch. Do not take more than 6 capsules daily, or 3 capsules in a single setting. Stackability: The new JetFuel series of products has been specifically designed to give you more stacking options than ever before. 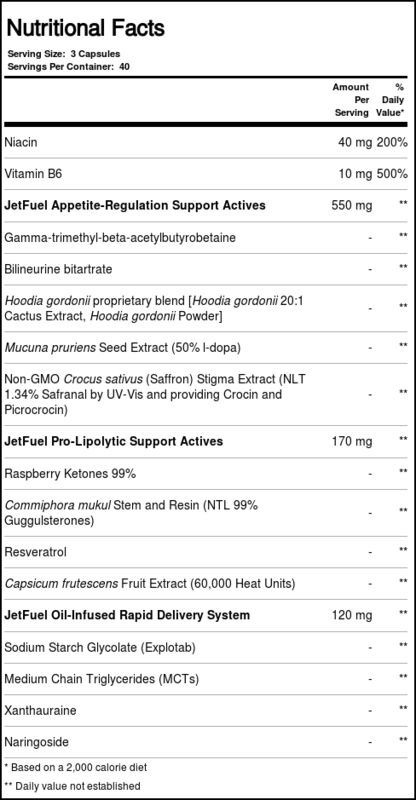 Whether you want to get maximum "cuts" or enhance lean muscle, there's a JetFuel stack that can help you achieve it, faster. For advanced stacking and cutting secrets, peel back this label when you get home.